I had a lot of fun reading through all the info you supplied and working on these concepts. These are quick digitized version of my favorite pencil sketches so they will have a finished look. One thing you will notice is that I am focusing more on initial concept so the type will not be that varied in this round. All of these marks are going to be paired with the fonts you mentioned in your word dock, Futura Bold, and a few with Century Schoolbook. Same goes for color at this point. In stead of doing standard black and white I used some combos you mentioned in the questionnaire - Gold, white, black (although I used more of a cream and trans black) and a couple have some crazy bright cyans, magenta, and yellow. 1a. Top. 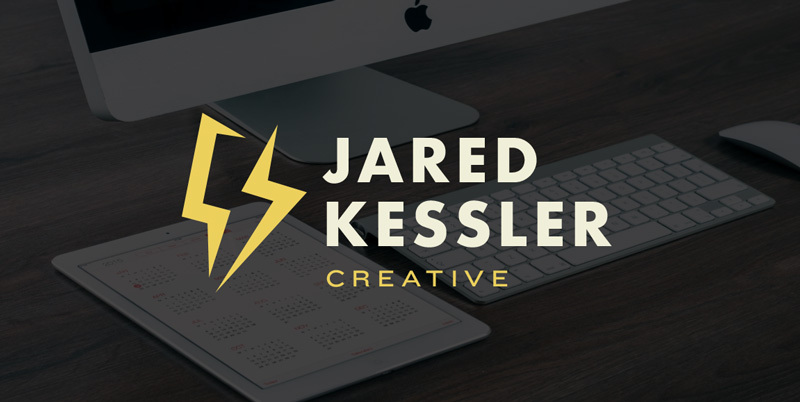 I love the simplicity of this one, I paired it with a "softened" Futura Bold (no hard corners). And threw an extended secondary font in for "creative". 1b. Middle. This is basically a fatter version of the one before it. But the leg of the J is straightened to allow for possible secondary icons, in this case a stylized bolt (which you will see more of farther down). 1c. Bottom. This version has extreme serifs and a straight arm on the K. This was an attempt to go 180 from the simple versions above, I also like to pair sans and serifed type. 2. Here we get into some of the imagery you mentioned in the questionnaire, the lion. 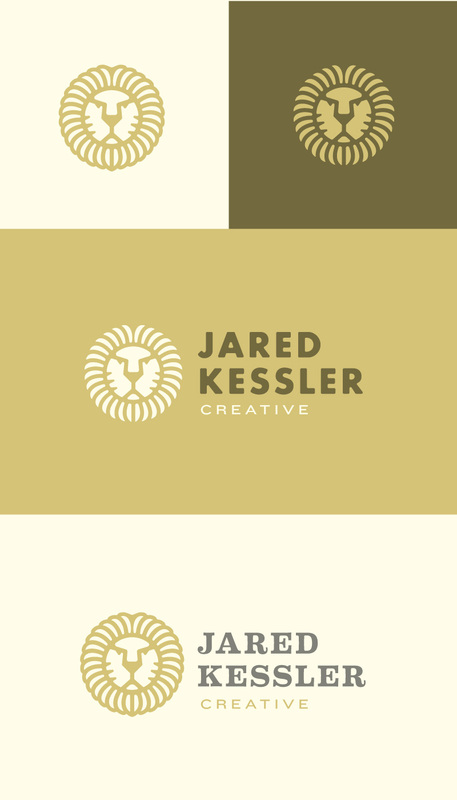 Exploring existing lion mark I began to get a little nervous of creating something new and still visually interesting, but the results are very promising! I wanted to hit on certain qualities and symbolism while avoiding others. Focusing on the quality of your work and confidence you have in your work and yourself. Basically the creative and leadership traits. 2a. Other attributes I made sure to be conscious of were bold, classy, smart and most importantly simple, as per the questionnaire. The sketch evolved wonderfully into a digitized form allowing for very convincing positive and negative versions. 2c. 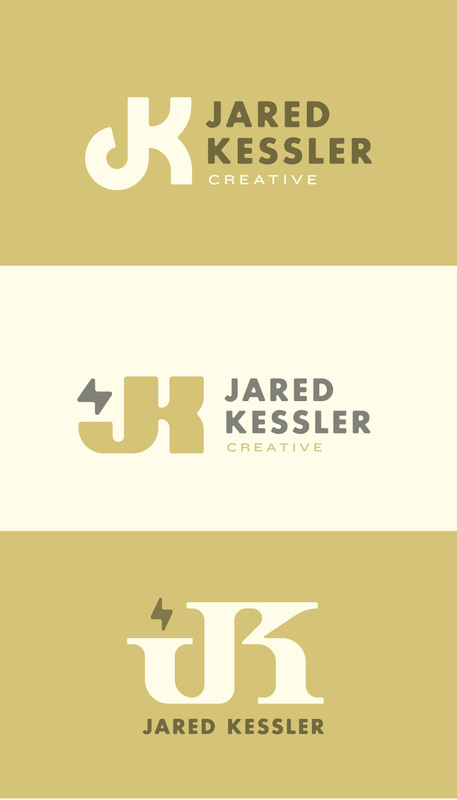 Here you can see some good examples of versatility for this mark, these could easily be used in conjunction with the previous image as well as the top monogram (granted Futura or a simalar font is included in the branding.) You can also see the bolt creeping in again as a secondary icon. 3. Version 2 of the lion concept. This one utilizes the bolt in the main mark. I really like the combination or lion traits and the bolt, which to me includes spontaneity, liveliness, unpredictability and a hint of badassery. 3a. This mark also works really well with horizontal and vertical orientation and positive/negative versions. 3b. Here is bit of that color I was talking about! 4. Lastly we have my attempt at creating a lighning bolt icon that is actually original. After a lot of googling I haven't seen anything exactly like what I came up with. 4. Basically it is two abstract forms positioned as to create the basic bolt in the negative space between them. On this image above you will see a "pointy" version and "blocky" version. The "pointy" version has the abstract forms resembling bolts them selves. The "blocky" version has a nice chunky weight to it, which to me makes it a more unique mark, you will also see I messed around with the type in this one to tie it a bit more to the mark and adding to the uniqueness. 4a. More color! Works well with this kinetic mark.